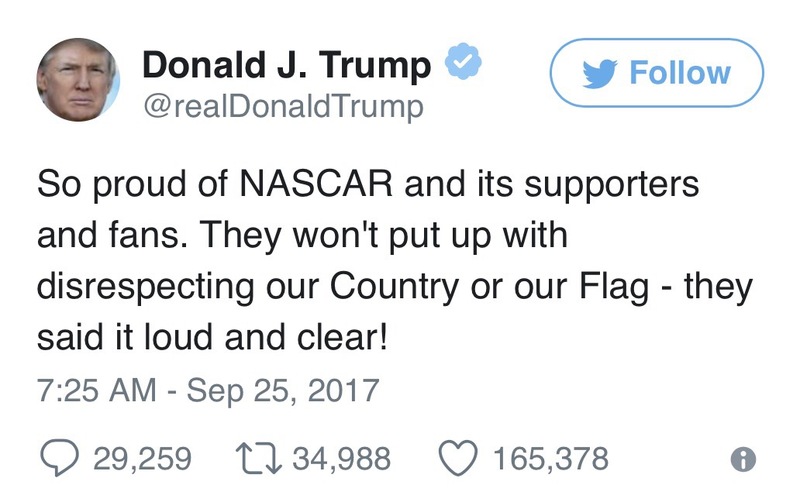 President Trump and real Americans are praising NASCAR and anyone willing to stand up for our Country!. NASCAR owners and drivers slammed the NFL and its players over the ongoing controversy, with one long-time team owner saying any protest over the national anthem would get his drivers a “Ride on the Greyhound Bus”. 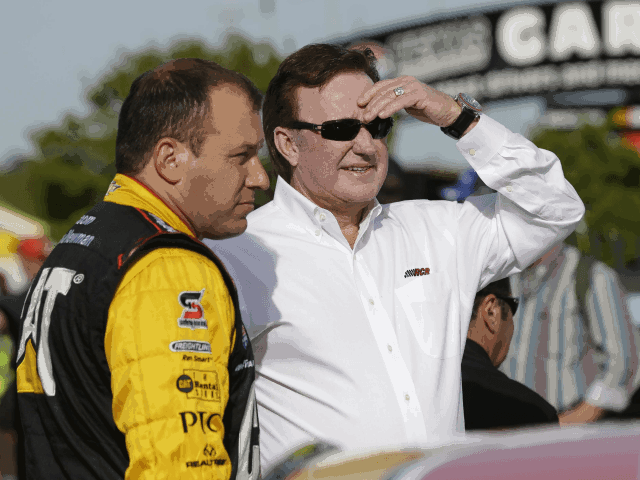 “It’ll get you a ride on a Greyhound bus,” Richard Childress told Fox News. The NASCAR organization issued an official statement on the protests, saying sports should be a “unifying influence on society,” and that patriotic displays are a “hallmark” of NASCAR races. “Sports are a unifying influence in our society, bringing people of differing backgrounds and beliefs together. Our respect for the national anthem has always been a hallmark of our pre-race events. Thanks to the sacrifices of many, we live in a country of unparalleled freedoms and countless liberties, including the right to peacefully express one’s opinion,” said the statement.